Every price needs to cover your costs at a minimum. You need to make money, and your customers want the best deals. With the right blend of pricing, everyone can win. Whatever prices you decide on, will have a direct impact on how many people choose to do business with you. This is known as cost-based pricing, where you calculate the costs required to sell your product. While pricing based solely on cost usually isn’t as profitable as other methods (which we’ll discuss in a minute), you need to understand your costs to make money. There are four major areas to consider when adjusting your pricing. No matter how you source your products, you must ensure that you calculate the costs of the raw materials that you are going to use. Clothing eCommerce store Everlane uses radical transparency to show the true cost of their product and pricing. You can see exactly how much they are—or are not—making. For example, if you are trying to price a pepperoni pizza, natural elements are required for it to be a full product. In this case, it would be important to consider the costs of ingredients including flour, yeast, water, cheese, and pepperoni. When you take all the costs of these ingredients into account, you will have a better reflection of all true price. For you to price the pizza, the cost of making it must be factored into the equation. But raw materials isn’t the only factor to consider. You’ll also need to include the cost of packaging, supplementary materials like chargers or manuals, and everything that goes in the box. This is one of the most critical factors to consider with any online business. Customers need to know about your site in order to buy things from you. You’ll need a lot of marketing to make your business succeed, especially when you’re just getting started. Plus, your pricing can actually play into your marketing. A high price indicates a quality product, and your marketing should reflect that. Pricing is mental shortcut many customers use to determine the value of your product. Understand your eCommerce store goals, and price according to those goals. When you are marketing your products, you’ll definitely incur costs for customer acquisition. Cost of acquisition is something that may not seem straightforward at first. If you are still trying to figure out the best marketing strategies, it may take time to really know how much it costs to get a sale in your business. At first, it may seem like costs of acquisition are very high, especially if you try a lot of strategies to make your first sale before succeeding. In order for your marketing strategy to be effective, you will first need to try out a lot of different methods. After carefully analyzing which are effective, you can establish a cohesive marketing and business plan for your eCommerce store. There are a few easy ways that you can figure out which marketing strategies are working. First, list out everything that you are trying. This can include taking time to grow social media, run advertisements, build your email list, and other systems. Create a timeline for when these activities will be measured, and collect periodic results. After a certain period of time (whether that is a few weeks or months) identify where your sales are coming from, and focus on those strategies. Once you have some initial data points, you can figure out how much return on investment (ROI) is possible. Once you have the right things in place, your ROI will increase and it will be clear how much of an investment is needed to bring customers to your eCommerce shop. 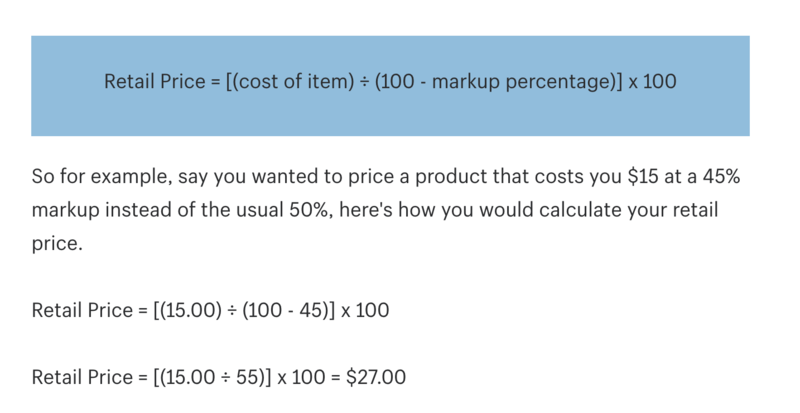 Include this cost (plus a buffer amount) from the price of your products. This is an unseen expense that can add up very quickly. When you are delivering products to your customers, shipping or other methods will come into play. Having the most cost-effective and reliable means of transportation is essential to pricing. Budgeting a comparable amount to what competitors may be charging is also important to keep your conversion rate high. Delivery and shipping charges can also include packaging costs and tariffs or other taxes. 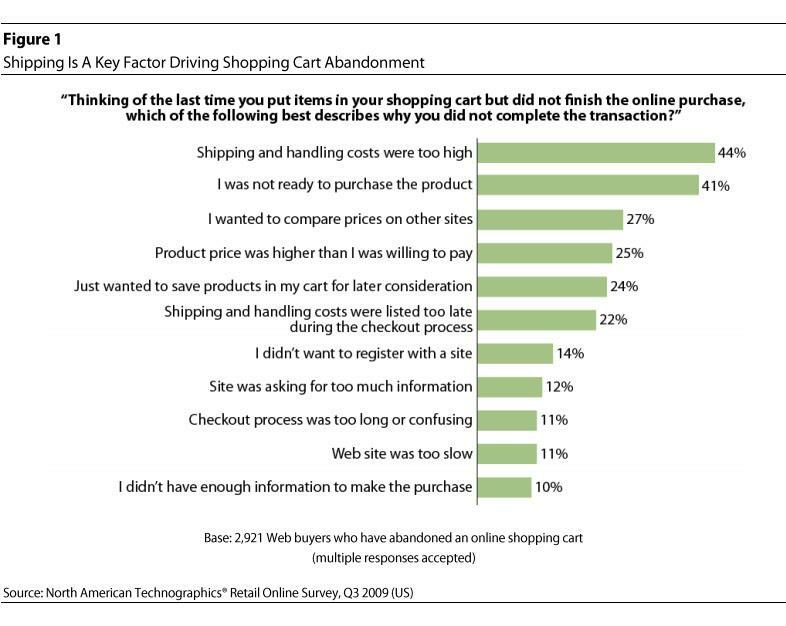 Shipping and handling costs are the #1 reason for cart abandonment, with 44% of abandoning customers citing this as the reason. Because customers usually prefer “free” shipping to an added charge, include shipping costs in your product price, then offer free shipping. Include this when you calculate the price of your products. With so much going as you start setting up your eCommerce store, having a supportive team is critical. This means that you might have some personnel that helps you in your normal daily activities of managing the store. Some of the costs incurred may go towards labor and costs of upkeep. You’ll also need to provide a salary for yourself. While your store might skyrocket with massive profits, it’s a good idea to have a base number built in that you can pay yourself from each product. That way, you’ll be able to support yourself in lean times just as well as when your product is booming. Competitive pricing models will help you carve out a place in your niche. A price point that is comparable with other vendors will fit into the market demand and help you attract customers. Whether your price high or low depends on what the market currently looks like—and that’s determined by your competition. 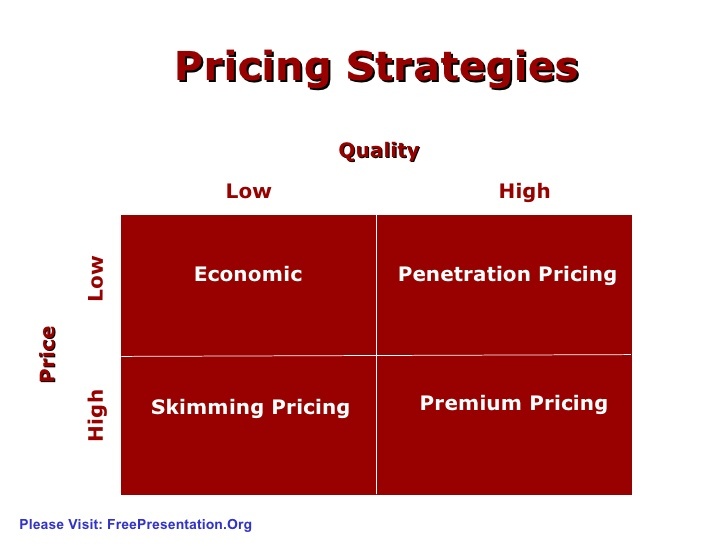 There are three types of competitive pricing. This is the type of pricing where products are automatically below the price of competitors. It is a great way to go when starting out with your e-commerce businesses. By doing this, you are setting yourself up to be one of the most affordable vendors for your niche. One of the main advantages of this pricing model is the ability to stand out in the industry. A lot of retailers work on this model, including Amazon and Walmart. The disadvantage of this strategy is the difficulty of raking in the desired amount of profits that you need to run a business. This may make it hard to stay afloat in a competitive pool. Another disadvantage with this model is staking everything on price. If that’s your only differentiating factor, and someone else undercuts you—you’ve given them your market share. If you have a clear difference in what you sell, this can work. When you price around the competition, you don’t lose many customers based on how much you charge. Let’s take a simple example of the number of sweater sales you lose at different prices. At about $175, you only lose 20% of customers. 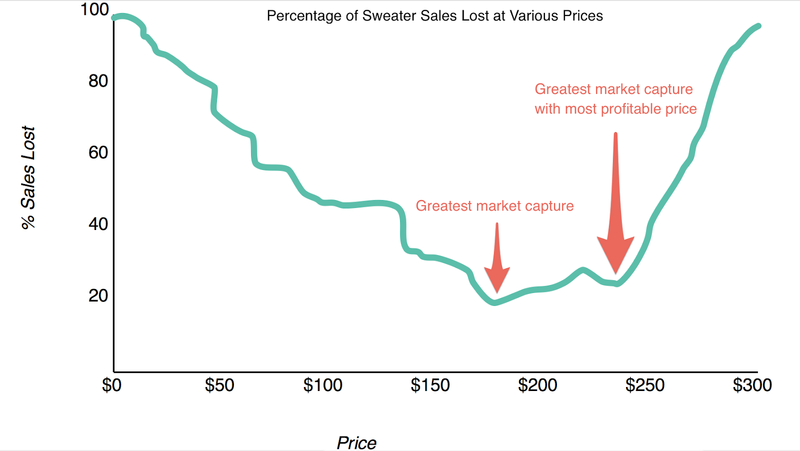 This is probably the market rate for sweaters and is a good pricing scheme to use. But if you price at $250, you’ll only lose about 22% of the market—and make an extra $75 in profit. The reason is that customers have expected “set points” for the product they buy. When you price based on the market, you make this less of an objection. You’ll notice that prices that are too low actually lose customers as much as high prices do. Think about it—if someone offered you a brand-new sweater for 89¢, would you buy it? Most mainstream stores (think any mall chain) work within this model, or something close to it. Products that are roughly the same price as similar products don’t raise objections over price. Instead, they can become a neutral factor, which can work to your advantage. If you have unique gear specifically for desert camping, a neutral price can bring in cost-conscious consumers that would otherwise go with generic camping equipment. Finally, you can set your products above the competition. This is effective for a few niches, or if you have a well-positioned product. Companies like Apple, Harley-Davidson, and Mercedes-Benz have unique selling points that allow them to charge more than comparable products. Few people believe Apple’s raw materials cost many times that of PC hardware. But for Apple users, the price is justified in the other value the product provides. If that’s your store, you have a special advantage because a high price can actually work in your favor. A high price actually makes it easier to sell your product, since the customer equates a high price to superior quality. Keystone pricing is another model to lower the risk you face with pricing. The model is simple—you double the price of whatever you sell. So if you buy wrist watches from a supplier at $20 each, you’d sell them back at $40. The 100% markup means you can make enough to cover your costs and provides enough profit to make your store worth it. When you first start out, you’ll have a higher cost of doing business. You’ll need to distribute website, research, and inventory costs across the few products you sell. Until you start building up a large base of customers and moving larger product quantities, each product will need to have a higher markup to cover your costs. This rule of thumb helps ensure smooth operations every time. This might sound like highway robbery, but it’s actually standard practice in a lot of industries. As long as you’re not too far over the market price (or at least have a differentiating factor if you are), you’ll be in the clear. There are a few areas where keystone pricing won’t work. Computers, technology, and gadgets have fierce competition over price. Other industries, like clothing, use keystone—but have exceptions like athletic shoes. It might be tempting to price similar items at the same rate in your store. If you sell video equipment, for example, it might be a good idea to price all the same types of cameras at the same price. But in a price comparison test, it has been shown that items with similar prices may not do as well. Similar prices can confuse purchasing decisions. Even marketing a cheaper product at an increased price because of additional packaging and offers will drive sales. Targeted groups will still want to buy your items as long as you keep it slightly different from the competition. Pricing experiment can help you charge effectively and keep customers coming back. Pricing is one of the most efficient ways to boost conversion rates. It can help you optimize your e-commerce enterprise and get the most out of your store. Running pricing experiments, or trying a model out for a while, can help you learn a lot about what works in your niche. The results will be an efficient, sustainable and profitable strategy. Analyzing results can also make a big difference in how your pricing structure evolves over time. For example, knowing what works and what doesn’t can make all the difference with your pricing tweaks. The most important obstacle to overcome is knowing your position in the market. Once you are able to clearly see where your prices stand compared to the competition, it is only a matter of time before you will find the absolute optimum scheme for your eCommerce store. Pricing is one of the biggest considerations for any online shopper that determines whether they can buy a product online or not. After you have a system that is getting results, you will be able to test out new marketing strategies or systems to further build growth. The danger of developing a pricing strategy from scratch is that you can either put too high or too low and lose out on sales. A high price can drive away customers, but a low price can make your product seem cheap and can decimate your profits. The K.I.S.S. method is this—keep it simple, stupid! Pricing doesn’t have to be difficult. If you’re spending more than a few hours figuring out your pricing, that’s the time that could be better spent testing different prices with data. Start with a figure that makes sense for your business, costs, and how you define target customers. Then move from there to creating a basic figure that works. Over time, you can adjust and test to see if that’s the best price for you. If the product isn’t selling as well as you like, test a higher and lower price. Sometimes a price that’s too low can make the product seem cheap, but a higher price will make it seem more premium. 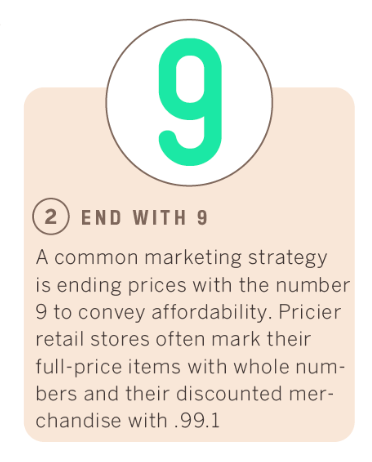 If you’re able to, consider using a nine at the end of the price. There’s a reason product usually cost $14.99 rather than $15.00—the price looks more like fourteen dollars than fifteen. For pricier products, you can continue this same strategy by charging $49, $99, or $999 dollars. Will I cover my costs? This includes product development, transportation, overhead and advertising costs. Utility bills associated with running your business must also be factored in along with telephone and internet expenses. Will I break even after marketing? Determine the break-even point of your business after all the ancillary expenses and marketing strategies. A break-even-point is understanding the total number of sales that a business has to make before getting into a net profit zone. How much wiggle room do I have? To stay competitive you may change your pricing model many times over. Make sure you know what your margins are and how much of a markup percentage you can offer. Looking at MSRP can give you a good idea of how to price well. There are a lot of ways to price your product! 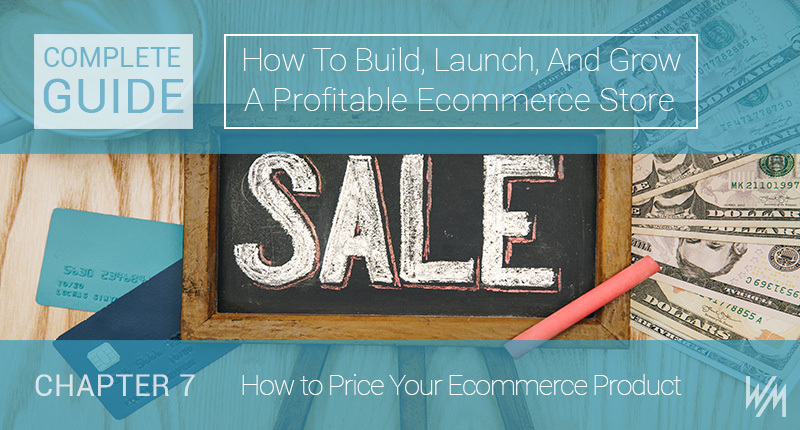 Here’s how to win the eCommerce pricing game. First, cover your costs. Get a good understanding of your operating, overhead, and marketing expenses. If you don’t cover your costs, your store will be a losing game from day one. Next, know your place in the market and how to position your brand. Pricing above or below the market can work, as long as you understand your strategy. Walmart and Amazon have built huge brands with discount pricing, and Rolex and Tesla have built brands focusing on premium consumers. Understand where you fall, and price accordingly. Finally, stay competitive. Test pricing if you need to, and figure out what helps your profit margins and customer base the best. Leave room to adjust if you need to. eCommerce is all about adapting and improving on a regular basis. Constantly building your store and tweaking prices will help customers get the best out of their experience with you.